Manufacturers are currently facing challenges spurred by trade war pressures, diversification shifts & sustainability constraints. 2018 proved to be a challenging year for global sourcing, with manufacturers mired by rising tariffs, sourcing shifts and sustainability restraints. 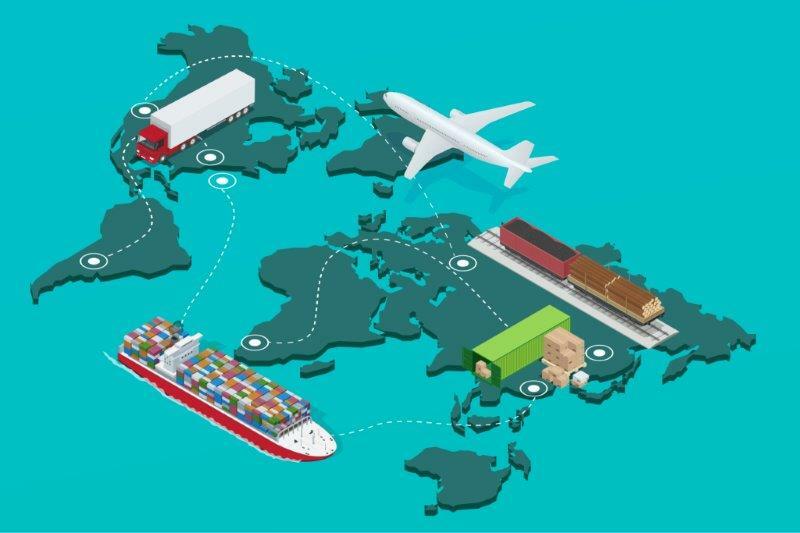 A recent report and survey of businesses, released by global quality control and supplier compliance service provider QIMA, suggest that these trends will continue to shape the global sourcing climate in 2019. The ongoing US-China Trade War has caught many multinational companies in its crosshairs, with tariffs leading to higher procurement costs and subsequently lower profits. This is prompting companies to restructure sourcing destinations, the report suggests. For instance, to avoid being squeezed by competing tariffs being issued back and forth between the two countries, as many as 75 percent of respondents reported they are already sourcing suppliers in new markets. The data from 2018 also suggests that more than half of U.S. companies with supply chains felt negatively impacted by the Trade War. The backlash from the rising tariffs—evidently impacting far more than just soy farmers and auto manufacturers—is prompting organizations to adapt in ways that are disrupting global supply chains. This will likely encourage shifts from China and more diversification trends in 2019. While the report shows a slow and somewhat painful shift from China, it is not likely that most companies will consider wholesale relocation of factories out of China or replace their current Chinse sourcing vendors entirely. Supply chain infrastructure takes time to establish and streamline. China, after decades of growth and infrastructure spending, is still at the center of the world’s production, sourcing and procurement needs. In fact, the data affirms China’s importance with a staggering 95 percent of U.S.-based businesses naming China among their top three sourcing geographies and two-thirds saying they rely on China for over 75 percent of sourcing volumes. This dependence is particularly strong for businesses in the electronics industry, textile and apparel. Furthermore, China’s demand for inspections and audits showed resilience in 2018 with an 8.5 percent increase in requests compared to 2017. However, for many companies, the prospect of shifting manufacturing out of China—or at least diversifying production channels—may become more appealing in the longer term given China’s progressively rising labor costs, increasing compliances, social insurance commitments, stringent environmental regulations and other rising pressures. China’s recent report of an economic slowdown may also put it a competitive disadvantage in 2019. In the best-case scenario, organizations will seek productivity gains in ways that maintain supply-chain integrity by ensuring that sourcing destinations are audited and inspected for compliance. In the worst-case scenario, as brands look for new sourcing regions and patterns, they will take ethical risks to lower costs. It is important to note that the markets seeing more activity include those with less mature manufacturing industries than China like Indonesia, Cambodia, Bangladesh, Turkey and Vietnam—all markets where factory compliance, workers’ rights, safety, waste management and quality control remain persistent issues. For instance, Vietnam, Indonesia and Turkey saw their average factory scores deteriorate by 5.1 percent, 3.2 percent and 3.1 percent in 2018 respectively. The impacts of the increased sourcing diversification in 2018 were also reflected in product quality figures collected by QIMA during on-site inspections. In China—as manufacturers were pressured to cut costs to remain competitive in a tough global retail environment—their output quality suffered: over 25 percent of inspected products for all industries combined were found outside of specifications, a 16 percent deterioration from 2017. In other ‘hot’ sourcing regions, such as Cambodia and Turkey, failure rates also increased by approximately 30 percent. However, when looking specifically at the textile industry, the report shows that manufacturers made some strides in product quality, reducing inspection failure rates by 18.5 percent in 2018, a possible reflection of the sector’s gradual improvement in supply chain ethics over the past two years. The data consistently shows a positive correlation between ethical scores and quality performance, with such factors as better working conditions and retention of qualified personnel contributing to higher product quality. Meanwhile, aggregated data from labs shows that phasing out lead, especially phthalates, remains a considerable issue for suppliers selling to the EU and the U.S. In 2018, over 7 percent of tested products failed to comply with EU REACH rates due to excess amounts of lead and 8 percent for banned phthalates. Suppliers to the US fared better on lead, driving test failure rates under 5 percent, which represents a notable improvement on 2017 performance, especially in terms of compliance with US CPSIA and California Prop 65 requirements. Nevertheless, phthalate compliance among this group remained an issue, with 9 percent test failure rates showing no tangible improvement over a two-year period. A promising trend is that that many global brands are taking action to mitigate the risks of shifting sourcing markets, with QIMA handling an uptick in requests for inspections and audits in most of the emerging ‘hot’ markets. For example, Indonesia and Cambodia saw demand for inspections and audits expand by over 50% in 2018 in comparison to 2017. Meanwhile, demand for inspections and audits in South Asia grew double-digit, outpacing the forecast for the region’s economic growth. Bangladesh, an ever-popular destination for textile and apparel, saw a particularly strong influx of buyers, resulting in +37.3% growth. Sébastien Breteau is the founder and CEO of QIMA, a quality control and compliance service provider that partners with brands, retailers and importers to secure and manage their global supply chain. He has more than 20 years of experience in supply chain management, founding his first sourcing company in 1997. Founded in 2005, QIMA has become a leading player in Asia and has expanded its operations globally to 20 offices, 2,300 employees and operating in 85 countries. QIMA received the received the Best SME award from behalf of the French Chamber of Commerce in 2006, and the ‘E-Business of the Year’ award from Alibaba in 2008.